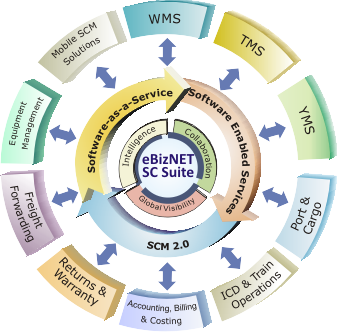 eBizNET-SC is a powerful and highly scalable web-based on-demand Supply Chain Execution solution. It incorporates the breadth of functionality of a best-of-breed solution, yet is packaged with the smaller distribution operation in mind. With rules-based configurability and rapid implementation, it is a perfect match for operations that demand broad scale functionality but the framework for a quicker and easier implementation exercise. The eBizNET-SC suite can run as stand-alone or as an integral component in a global supply chain network. Inherent to the suite architecture is a multi-client, multi-site framework that makes it easier to manage multiple client inventories under one roof - an ideal feature for third party logistics (3PL) or logistics service providers (LSP) operating public warehouse facilities. 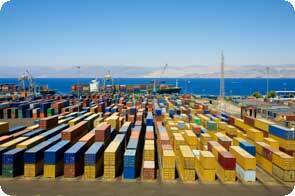 In addition, it can also manage inventory across a customer's entire network of distribution facilities. eBizNET-SC Suite is available to our customers using two pricing and delivery models: a license-based model, and an on-demand Software-as-a-Service (SaaS) model - so whether you wish to have the solution installed on-premise in your data center or use a hosted solution for rapid deployment of a new or existing operation, 7Hills stands ready to provide you with a solution option that fits your exact needs. eBizNET-WMS, Warehouse Management System, provides Tier 1 functionality with on-demand convenience and intuitive ease-of-use typically not associated with most Tier 1 solutions in today's market. eBizNET- WMS supports best practice operations for wireless receiving, directed putaway, order planning and fulfillment, replenishment, shipping & consolidation, and inventory control, all while offering central real-time visibility of inventory across the entire distribution network. Yet, this high end functionality does not come with a high-end price or with excess overhead. eBizNET-WMS is available conveniently on demand, over the web or across your own network, and will begin to create value for your operation in hours or days after starting an engagement, not weeks or months. In addition, eBizNET-WMS is fully capable of simultaneously managing multiple companies with multiple warehouses located in multiple locations; with continuous operational visibility across the entire network. eBizNET-WMS also allows you to easily collaborate with your suppliers/vendors, customers, C&F agents and other trading partners using the latest electronic commerce standards. eBizNET-CMS, Cargo & Terminal Management System, provides functionality to automate port operations like intermodal or terminal transfers, stevedoring, storage, cargo delivery, cross-dock and value additions like container stripping and stuffing, cargo sorting and repair, bagging etc. eBizNET-CMS is Radio Frequency ID (RFID) Tag-enabled to prepare operators for the eventual use of active or passive tags to track thousands or even tens of thousands of containers across the terminal. eBizNET-TMS, Transportation Management System, lets shippers compare rates and select shipping services that best fit their needs and budgets. It lets shippers determine efficient routing, taking weight, cube, service, commodity, region, mode, and other factors into account in real time. 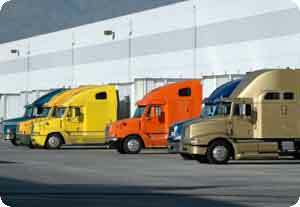 Certified BOL and manifest paperwork and documentation is also produced automatically based upon the routing. eBizNET-YMS, Yard Management System, has been designed to enable effective and efficient management of Yard/Dock locations and truck/trailer movements between the Gate, Dock and Yards. From the moment a container/trailer arrives at the gate, through its unloading, storage, and potential re-use, eBizNET-YMS will provide you the tools to track this process effortlessly and insure that demurrage charges are minimized or eliminated. eBizNET-OMS, Order Management System, is the critical business tool for your operations to automate the process of capturing and executing a sales order. The eBizNET OMS solution helps you provide unsurpassed customer service, efficient and timely order fulfillment, and up-to-date information - with a low TCO. Efficiently execute the order fulfillment cycle - from order capture and credit checking, to allocation and fulfillment, to shipment with high accuracy and speed. 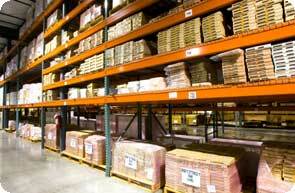 eBizNET-ABB, Activity Based Billing, helps identify, measure and manage costs in a warehouse. 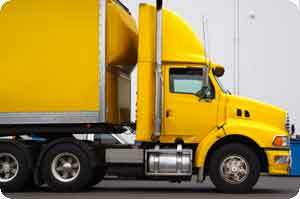 It enables tracking and analyzing of all the warehousing, distribution and transportation related activities and billing the customer accurately for the same. It automates the entire billing process and enables 3PLs to offer additional value-added services, thereby facilitating them to customize their contracts for services with different customers. Manage and measure the effectiveness of your workforce as an integrated process with eBizNET suite. Use 7Hills solutions to define engineering standards and measure real time productivity against those standards either by group or individual, down to the task level. Create actionable results by monitoring Key Performance Indicators (KPI) of your business across all eBizNET solutions. 7Hills solutions offer you insightful analytics to help to manage your business to the level you expect. Integrate RFID throughout key enterprise processes to pin point tracking and traceability of critical movements of inventory. application or ERP systems.